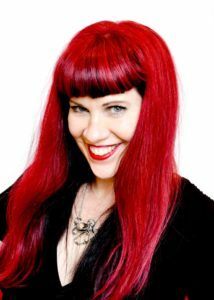 Kelly “Betty” has dedicated her 30+ year career as a Haircolor specialist to the elevation of hair color as an art form. Trained in New York and Paris, Kelly Betty has developed a meticulous artistic approach to professional color and is known for her creativity and specialization in corrective techniques. She excels at creating a color that will not only work with your individual look but one that will also suit your lifestyle, whether you desire an all over color or dimensional color like a finely woven tapestry. A highly respected educator in the beauty industry, she has taught for L’Oreal and Schwartzkopf, and was a presenter for L’Oreal at the International Haircolor Exchange. Kelly Betty is presently a L’Oreal Ambassador Colourist for Canada. She won for Ontario in the 2007 L’Oreal Color Trophy Competition and is a three time Contessa Nominee for Master Colourist having placed in the Finals twice”. Her talented hands have touched the locks of movie and tv stars such as Rachel Bilson and Shanae Grimes. Kelly Betty’s philosophy is to make a trend not follow one.